UI researchers adopt an author identification system known as ORCID (pronounced “orkid”). ORCID is part of a global effort including major academic publishers, funding agencies, and academic institutions to better connect researchers to their research output and to each other. If you have questions about ORCID, please contact your UI Librarian or visit the ORCID Knowledge Base. ORCID stands for Open Researcher and Contributor ID. The ORCID initiative focuses on solving the name ambiguity problem by creating persistent unique identifiers and linking mechanisms between different ID schemes and research objects. An ORCID iD is a persistent digital identifier that distinguishes you from other researchers. You can also easily create an ORCID iD with your UI credentials using the UI ORCID Planter tool. If you have already created an ORCID iD, log-in to the UI ORCID Planter tool, follow the prompts to the page that instructs you to to log-in and grant the university permission to read your ORCID record. If you are not registerd, you will be presented with a pre-filled registration page. What if I have an ORCID from another institution? When applying for a grant or submitting an article for publication. You can also add it to your web profile, your CV, or any other place you list your research. Initially, you can populate your profile with articles in Scopus, PubMed Central, CrossRef Metadata Search, and works already associated with a Thomson Reuters’ ResearcherID. Select from these options under “For Researchers > My ORCID Record” in the “Works” area. Click on “Import Works” to get started. Only articles with a DOI will appear automatically. Other research aggregators such as ProQuest also plan to work with ORCID in the near future. Can I add articles to make my record complete? Yes. Your publication list will grow automatically as more publishers come on board, but you may add to your profile immediately if you wish. Identifying your work with an ORCID iD may help to make it more visible on the web. If I have an ORCID iD, can someone else claim my research? Having an ORCID iD cannot prevent someone from claiming your research, but it can make them easier to detect, since, unlike names, your ORCID iD is unique to you. ORCID is simply a registry of scholarship. You can clean up your profile by identifying your own research and deleting any entries that are not your work. 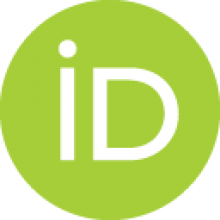 Do ORCID profiles support citations in non-Latin scripts? What if I leave the University of Iowa? Your ORCID profile goes with you. It is not tied to a particular institution. Can I delete my ORCID? Yes, you can delete your ORCID profile and iD. We do not recommend this, since we foresee a time when ORCID iDs will be required for grant applications and by publishers. An unused ORCID profile is not a problem, so we suggest keeping it until you need it. Does ORCID work with research metric sites, such as ImpactStory and Altmetric? ORCID is a partner with ImpactStory To learn how to connect ImpactStory with publications associated with an ORCID iD read the ImpactStory blog post titled ImpactStory from your ORCID ID! Altmetric is a supporting member of ORCID. To learn how to connect your ORCID iD with Altmetric read the Altmetric blog post titled ORCID Functionality Now Available in the Altmetric Explorer! Can I link an ORCID ID to Web of Science? Yes, you can link your ORCID ID to Web of Science. Please view this video to learn how to connect your ORCID iD to your Web of Science records. Note that it may take up to a month before the ORCID iDs appear in Web of Science.